Flogging Molly, Gogol Bordello, Goldie Lookin' Chain, Gentleman's Dub Club and Amadou & Mariam are among the latest acts added to the BoomTown Fair line-up. Flogging Molly's appearance at the Hampshire festival will be a UK festival exclusive, as will American reggae rapper Matisyahu's. Also on the bill are Caravan Palaca, The John Butler Trio, Peatbog Fairies, Infected Mushroom, Toddla T & MC DRS, The Interrupters and The Beat. The festival comprises eight different 'districts', each of which celebrates a variety of different music genres. 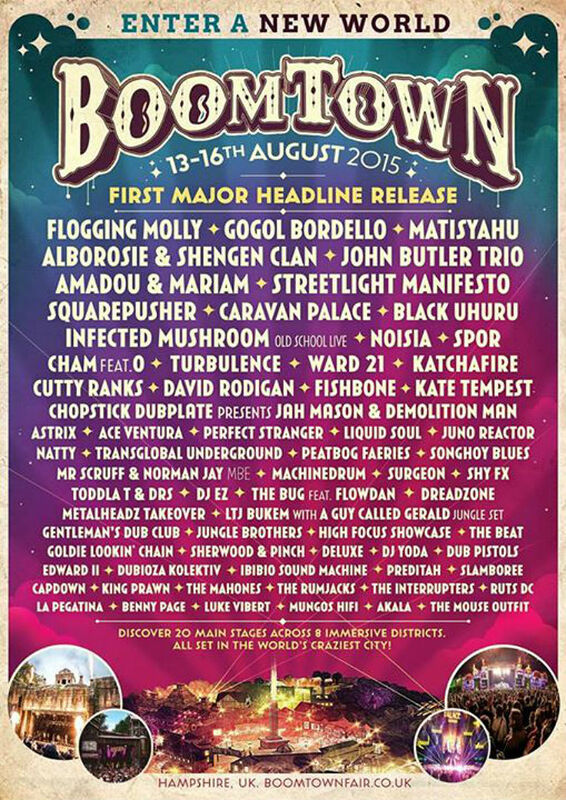 The seventh edition of BoomTown Fair takes place at Matterley Estate, Hampshire from 13 - 16 August 2015. For tickets and more information, click here. See the full line-up poster below. 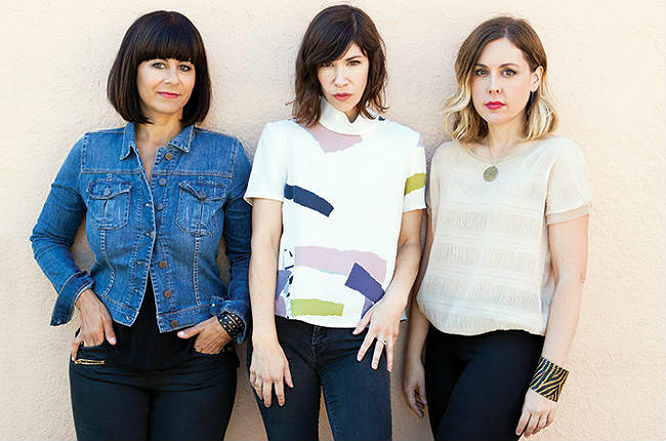 Sleater-Kinney: The world initially thought Sleater-Kinney, who split in 2006, were celebrating their 20th anniversary simply by releasing a career-spanning boxset. Little did we know that they'd secretly recorded an entire new album, No Cities To Love, which they released at the start of 2015. 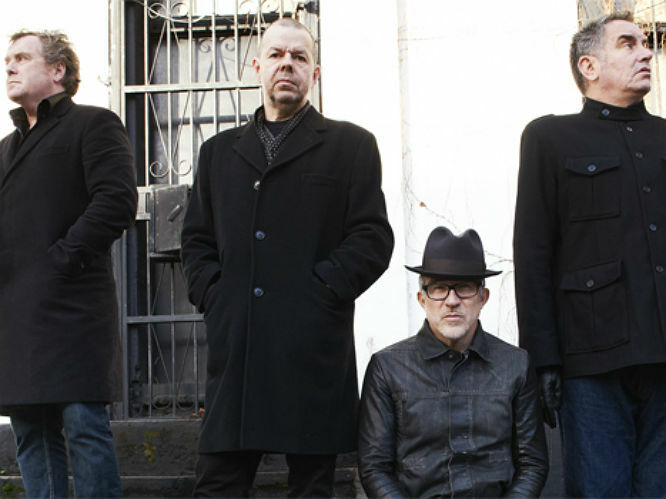 Now officially reformed, they're playing BBC Radio 6 Music Festival in Newcastle in February, and Barcelona's Primavera in May. We're sure more dates will follow this summer. 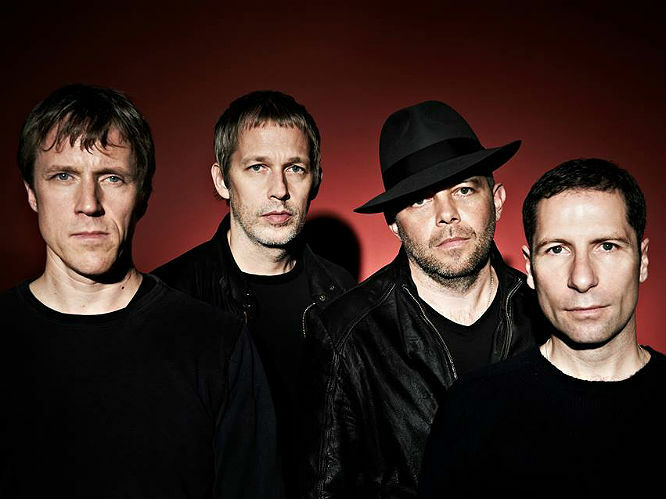 Ride: It's been nearly 20 years since the band credited with paving the way for the likes of Oasis and Primal Scream called it a day. This year though, they're reforming for a series of live dates, including London's Field Day Festival and Primavera. 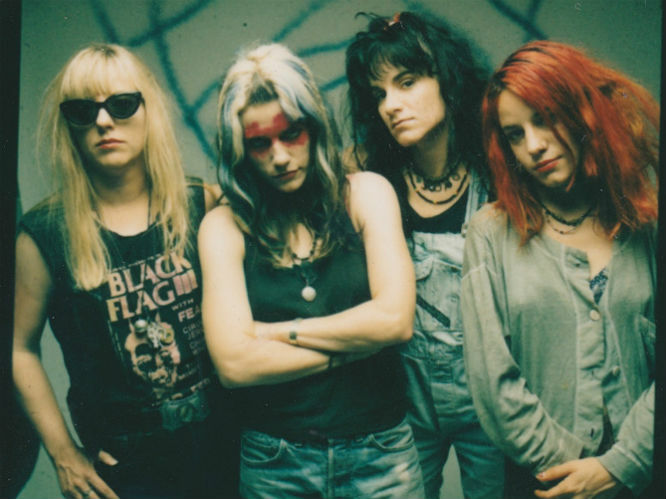 L7: The band - who, despite never quite embracing the idea themselves, were massively influential in the riot grrrl movement - went on indefinite hiatus back in 2001 after 16 years and 6 albums together. 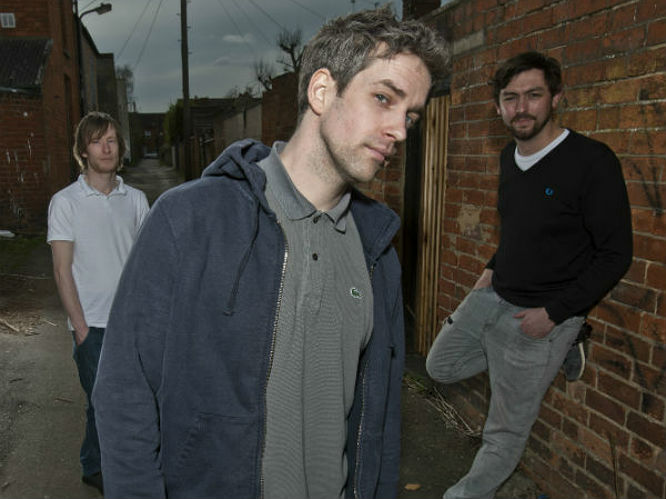 This year, they're reuniting - and heading to UK shores for Download Festival. Let's hope we don't get a repeat of Reading 1992, when Donita Sparks got so irritated by the crowd's mud-slinging, she threw her tampon at them. There's far more to them than just these infamous anecdotes though, and their reunion is a much welcome addition to the 2015 riot grrrl resurgence. Capdown: In news that had a select portion of 90s kids rejoicing, the ska-punk band reunited at the end of last year for the Jagermeister tour. They're now on the bill for the 2015 edition of BoomTown Fair, with more festivals surely to come. The Pop Group: The Pop Group - who, by the way, are anything but - revealed their first new single in 35 years at the start of the year. It was a welcome return from a band who were only together for four years, and who released just two albums. They've been touring again since 2010, but their appearance at Australia's Adelaide Festival in March will be their first festival with new material. 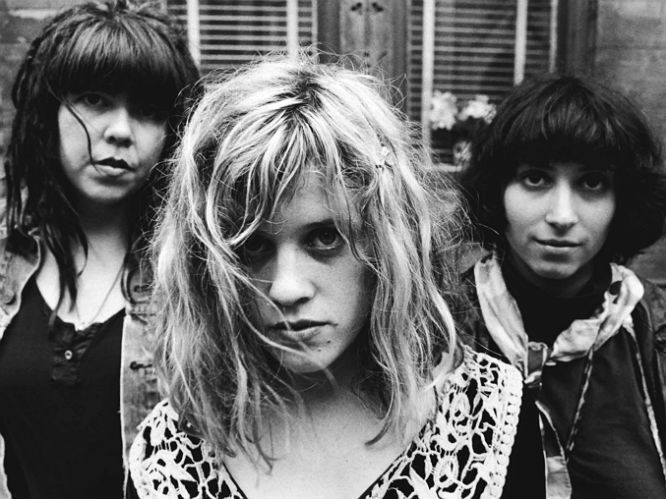 Babes In Toyland: The trio played their first show in 18 years in LA at the start of the year, and are now playing at Primavera Sound this summer, as well as a series of May UK dates. "It was brought to my attention," said Kat Bjelland, "that not only do we have a lot of diehard fans from back in the days, but also a whole new generation of kids - my son Henry included - that were eager to see us live." That is correct.